There are times in our lives when we may be facing a family matter that needs to be resolved through the courts. Not just for you but for all those involved. You have discussed it and agreed on many of the hard decisions. Whether it is a divorce, guardianship, custody resolution or even a legal name change, you have decided that it is time to get it done and move forward. One obstacle many people face when coming to the decision of resolving an outstanding legal family matter is being able to afford the process. Studies have shown that the cost of settling a family matter through the legal system is the number one reason these issues go unresolved for long periods of time. The leading reason for those high costs and fees are litigation. SD Legal Center provides you with options. 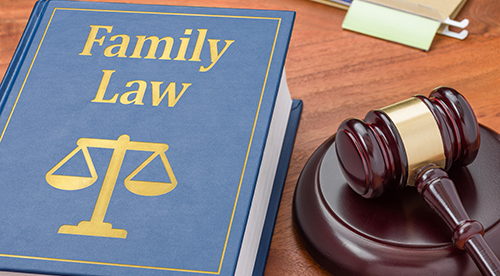 At SD Legal Center we know the family law system and can guide you through the process and documentation from start to finish. Whether you are facing divorce, custody resolution, paternity, or other matter, we will work hard to keep you informed of all court requirements, prepare the needed documentation, and even file the needed forms and documents with the courts on your behalf. As time goes on, children grow-up, jobs change, people move, you can become aware that the terms of a settlement you reached years ago simply doesn't work for your current family situation. If this is you, we can assist with filing a Request for Order with the court to start the process you need to legally change parenting plans, child visitation guidelines and even child support. Family law disputes are about solving problems. If you are looking for an affordable, uncontested resolution, we can help. Getting divorced can be a hardship on all family members. When the two adults involved are in agreement, or feel they can come to an agreement, SD Legal Center can help to document the specific details, complete and process all the needed court filings for your situation, work through and complete the Marriage Settlement Agreement and any other forms or submissions that may be needed for your individual case. Marriage dissolutions are complicated and need to follow a very specific legal process. We will work with you to ensure that nothing is missed and your desired outcome is reached. Paternity is the legal relationship between a child and their biological father. Paternity law deals with the rights and obligations of both the biological father and the child. A child's paternity may be relevant in relation to issues of legitimacy, inheritance and rights to a putative father's title or surname, as well as the biological father's rights to custody and obligations for child support. A paternity action may be needed to establish and protect the rights of your child born outside of marriage or your current marriage, concerning child support, custody, visitation and even medical expenses. SD Legal Center can help you with all needed documentation and court filings. Don't put this important child's right off or go it alone. A legally sanctioned name change generally refers to the legal act by a person of adopting a name different from their name at birth, marriage or adoption. The procedures and ease of a name change are embedded in Family Law and can be processed through the court system, on your behalf, by SD Legal Center. Contact SD Legal Center today for an appointment and we can assist you to legally complete this action. Child custody, or parenting schedule, is the legal and practical relationship between a parent and their child, such as the duty to care for the child. Legal custody is most often shared between the parents so the major decision here is determining which parent will have physical custody of the children and how much parent-time should be given to the other, noncustodial parent. We can provide assistance in all areas of the child custody legal requirements, including document preparation, court filing of the documents starting with your hearing dates and all through the process. child support is an ongoing, periodic payment made by a parent for the financial benefit of their child. When a level of child support is agreed by both parents it is important that the agreement is properly documented in the marriage dissolution within the Marriage Settlement Agreement and proper court documents. SD Legal Center will identify all the required documentation, complete, and file them with the court. Anything in this area not resolved by mutual agreement invites the court in to adjudicate. You can keep control of these items with strong, well documented agreements filed with the courts. SD Legal Center will provide the professional service you need for this. A guardian is a person that is appointed by the court to make decisions about the care of another person. This can involve an adult or a minor child. The legal proceedings are a two step process that mostly involves completing all the required documents and court approved forms in advance. The first step is to acquire Temporary Guardianship and the second is to make it permanent. SD Legal Center can help you with all needed documentation and court filings for a guardianship. Contact us for your appointment today.